Alumina by Boiron does help with the nervous system. Ordered Alumina 30c by Boiron and had within 2 days, as always! Great customer service! I have had excellent results with every boiron product I have tried so far in treating my daughters constipation and Alumina is the next product in her treatment so I expect the same quality and excellence and I doubt I will be disappointed. 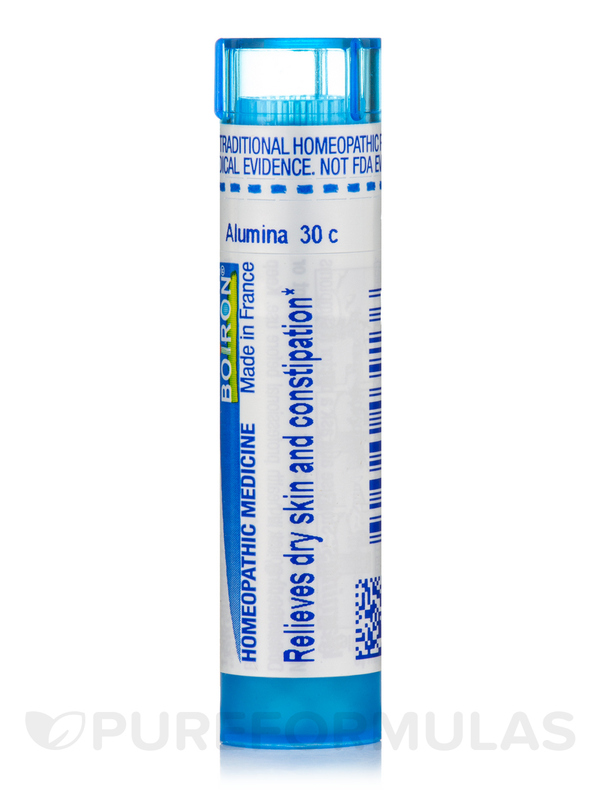 Alumina from Boiron® could relieve constipation and weakness. Also known as Aloe or Cape Aloe‚ this special herb has various important uses. Aloe is said to soothe sunburned skin. 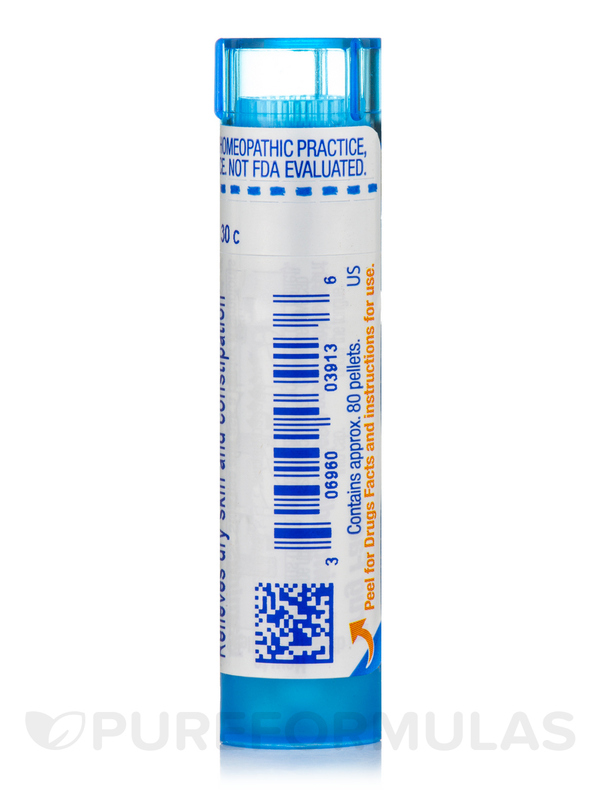 These pellets by Boiron® might be effective in alleviating various digestive issues. Aloe in this form could provide relief from stomach problems‚ like flatulence and indigestion. It might also support the health and function of the liver and relieve headaches. Aloe juice is obtained from the plant and dried into a resin. The resin is powdered and soaked in alcohol and macerated for at least five days. This mixture is then filtered and diluted. The method of preparation of aloe for homeopathic medicines like Alumina from Boiron® is important and it is essential to obtain these and similar medicines from reputable providers. I have found Alumina 30c by Boiron to be a good supplemental remedy for lumbar pain as well as muscular weakness, sluggishness, muscular spasms due to sciatica etc. It's too early to tell if the remedy has long-lasting effect but so far I have no comapints, and i continue to use it. I've read the reviews and wanted to add this to my supplies! 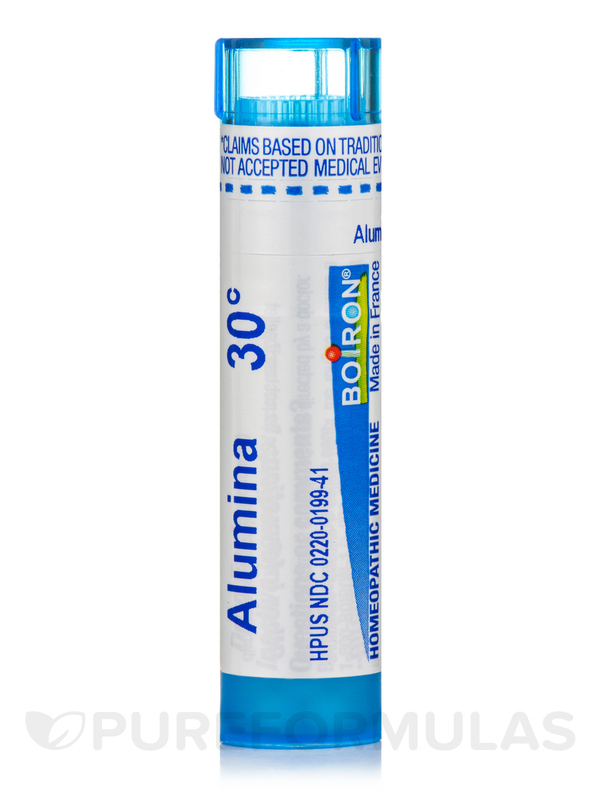 Alumina 30c by Boiron great remedy for tiredness. I'm so glad I ordered these Alumina 30c by Boiron! They have helped me so much, the bloating, gas, constipation and pain from all of those problems I was having. The best part about becoming a PureFormulas Customer is they have something for every health concern or problem. Who really wants to keep up with the "Vicious Cycle" of taking the over the counter medication that only masks these health problems. I'm new to the homeopathic world, but I'm never going to look back! Everything I've purchased from here has been such a huge game changer for myself and my family. This is a great place to start your journey to good health! It's reliable, affordable, convenient, tasty, and effective. Alumina 30c by Boiron was prescribed by my doctor but wasn't available at any of the health food stores. My family and I are big supporters of homeopathy and when the remedy is the right one, it is miraculous!